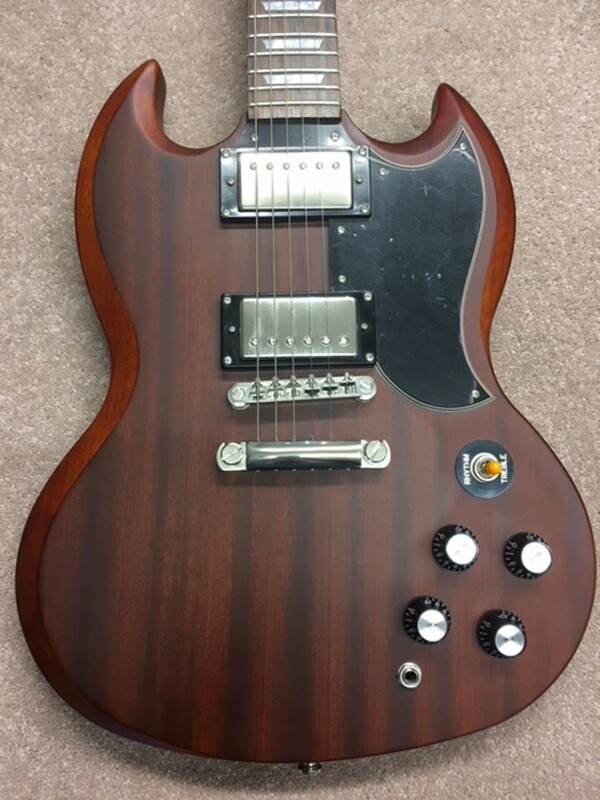 Epiphone finish, what' s wrrong ? How's the new SG? I ask you again. Why no answer? That' s strange with bevel, is the body real wood ? My G400 Korina wasn' t like that . The body is real wood. Veneer is also real wood, although just a thin layer. Its all wood. Those guitars are amazing compared to old beginner guitars. A guitarist I know told me how awful the cheaper guitars in the 70's was. He wish he grew up with beginner segment guitars like mine. 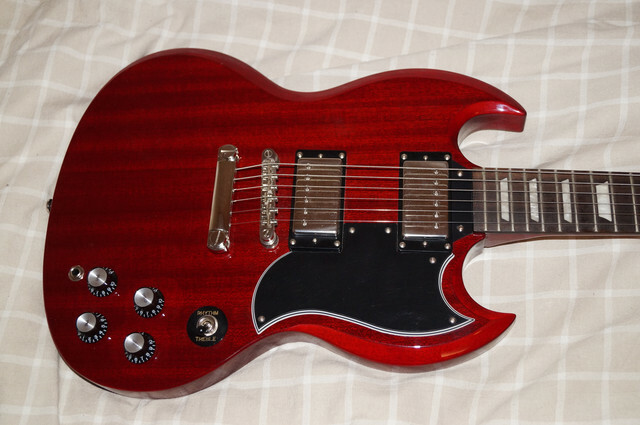 I paid $230 for my Epiphone G400 Pro brand new, and $35 for my Epiphone LP special II second hand. Its a lot of guitar for that price, and this is what its all about. The G400 Pro was badly set up so I used another $70 to get it adjusted and got better strings at an luthier. These are not Gibsons. But even Gibson LP Studio is even a step further in quality, but the price is very good compared to how much guitar you are buying. For me sound is ranked a lot higher than looks. Veneer... to me it doesn't matter as long as you get a very playable guitar. A professional guitar player told me once that he doesn't use Gibson because of they're design choices. Guitars in the $6000+ range. I said I don't need guitars that expensive to express my music, and he agreed. Its all about personal preferences. What your Korina might have been like, is totally irrelevant to others unless they have the same preferences. With a good set of pickups, a Switchcraft switch, CTS or Bourns potentiometers the Epi G400 become more playable. The wood is good enough quality, just that its in 4 pieces. Would look like a parquet floor. Or bricks made of wood. I would prefer that red glossy veneer over that brown dull guitar you posted. But would you care? Probably not. If you buy a custom guitar, you can probably get it it plain wood with pink neon flamingos on it, if you desired. This is however in the totally wrong end of that scale to complain. These are functional and look great for what you pay. If you want better, there is always Gibsons for you. This is my Epiphone G400 Pro 2015 Model. It looks great, for the fact i just bought it for €210. best deal ever at $999. and put Kluson Supremes on it. 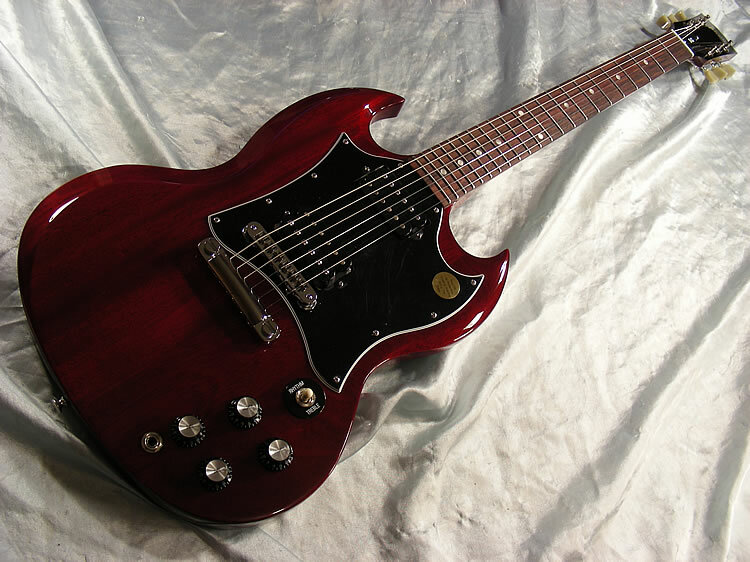 Epiphone needs to work on the SG. Indeed but I guess those guitars must have wood pieces matching in hue and saturation. Else you will get that parquet/brick effect. And that would not be so nice. Using veneer, you dont have to sort the wood for color, hue and timbre properties. You eliminate the problem. You only need wood that has some timbre properties. There is a coat of photoveneer on the top and on the back of the body. What woods are used for the body ? Well if Rev6 made a New Year's resolution to quit being a prick, he sure didn't make it very far. if ppl would just ignore his posts, he'd go away eventually..
Do you play any of them, or do you just take pictures of them or repost random pics you find online?